The bill has two provisions: It asserts that all families in Hawaii are entitled to basic financial security and it establishes government offices to analyze the Hawaiian economy and other universal basic income programs and propose a pathway for Hawaii. Rep. Lee said Hawaii has to consider this context because cost of living is very high there and residents often turn to side jobs in the service industry to make ends meet. Finland began a two-year trial run in 2016 with 2,000 citizens who will each receive the equivalent of $587 a month, tax-free. The pilot is only for people already receiving an income subsidy or unemployment benefits. Incidental earnings, such as from odd jobs or self-employment, will not affect the UBI payment. The Netherlands also launched a two-year test this year with 250 Dutch citizens in Utrecht and nearby cities. The participants are placed in six different test groups receiving slightly different stipend amounts under slightly different conditions. One group will receive about $1,100 a month without obligation. Another test group has the option to receive an additional $150 at the end of the month for any volunteer service, and another will receive the $150 at the beginning of the month but would have to return it if they didn’t volunteer. The fourth test group is made up of welfare recipients who will simply continue receiving their benefit, but without any work requirements. A fifth has welfare recipients who expressed interest in the $1,100 but will instead continue to receive their standard benefit. Finally, the sixth group is a control group of welfare recipients who simply want to continue receiving their standard benefit. According to the online news outlet Futurism, which calls 2017 “The Year of UBI,” Germany also has a two-year UBI pilot, Canada and Uganda each plan to start one, and India is debating the merits. eBay founder Pierre Omidyar is currently financing a UBI experiment in Kenya. 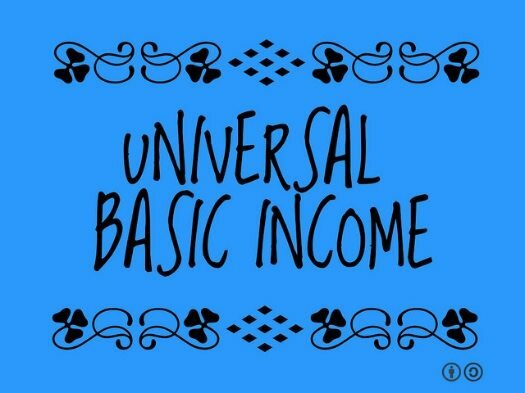 According to the Basic Income Earth Network, the idea of a minimum income first appeared in the 16th century; by the 19th century, the idea had evolved into unconditional basic income. In 1969, President Nixon proposed the Family Assistance Plan in the U.S. to replace the AFDC, the aid program to poor families, but it was eventually rejected.